Our gift vouchers make a wonderful present for Christmas or birthdays. Contact us for more details. Stay one night, second night free (Sunday-Thursday, November-February). 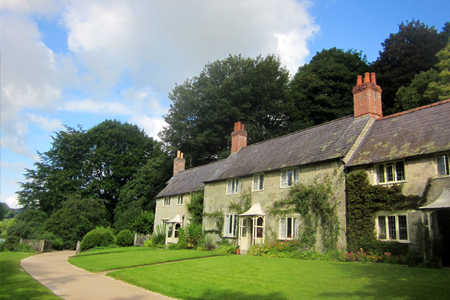 Stourhead Gardens Bed & Breakfast is the middle of the three 18th century cottages in the photograph above, owned by the National Trust and situated a few yards from the entrance to Stourhead’s world famous gardens. Guests enjoy complimentary passes to both House and Gardens, free parking, a fine breakfast, plus the unrivalled opportunity to explore the gardens in the early morning and evening, when the crowds have gone. 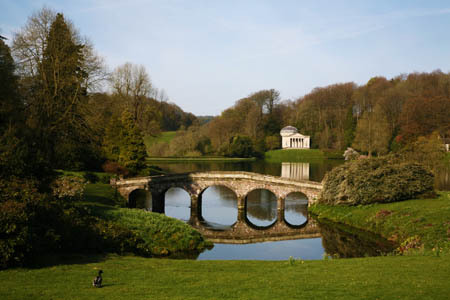 That is the unique Stourhead Experience. The cottage is available to let over Christmas and New Year on a self-catering basis. 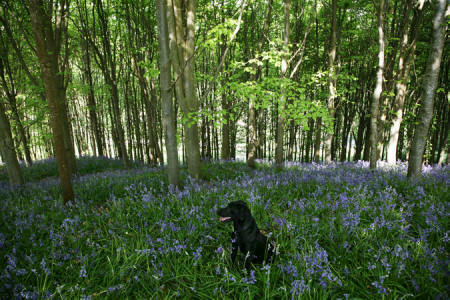 Please email bb@stourhead.org for further details.